Francesca Dale in Art & Photography on 10 November, 2016. Returning for its eighth time, Thorn put on an incredible line up of live poetry, beautiful music and sensational visual arts this Tuesday at the quirky Empty Shop venue. Thorn describes itself as ‘Durham’s Hottest Arts Organisation’ and I can vouch for that as The Bubble went to discover what artworks lay within the exhibition. 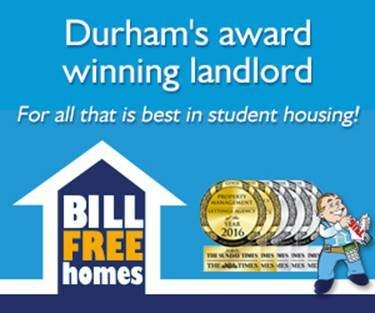 Thorn is a platform based in Durham, run by students, for young people everywhere. They aim to provide a showcase for innovative work and bring artists of all mediums together through collective projects. 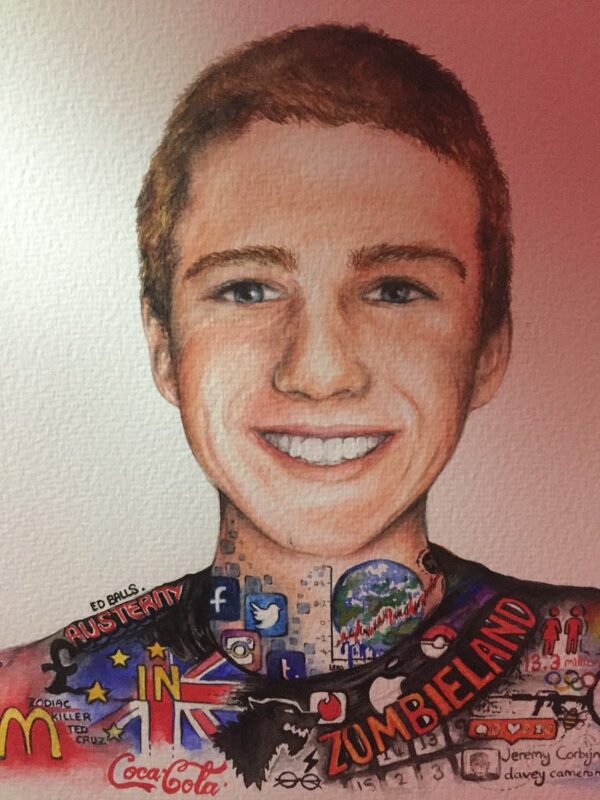 Artist Libby Pattinson created this beautiful painting using strong symbolism and representation to communicate her message. She states that her “piece aims to show how events of the past and present can shape the identity of individuals as well as a generation.” One can see growing political, economic and social concerns within the image, as she attempts to “represent the growing political consciousness of our generation, from the way we voted in Brexit to the growing LGBT and Black Lives Matter movements.” One can see familiar symbols such as Facebook, Twitter and Instagram, the technology that consumes our lives. Next door we can see familiar logos of multinational companies such as McDonalds and Coca Cola. The impressions that we get on a day-to-day life, the sights and names we hear can all be seen in this portrait. 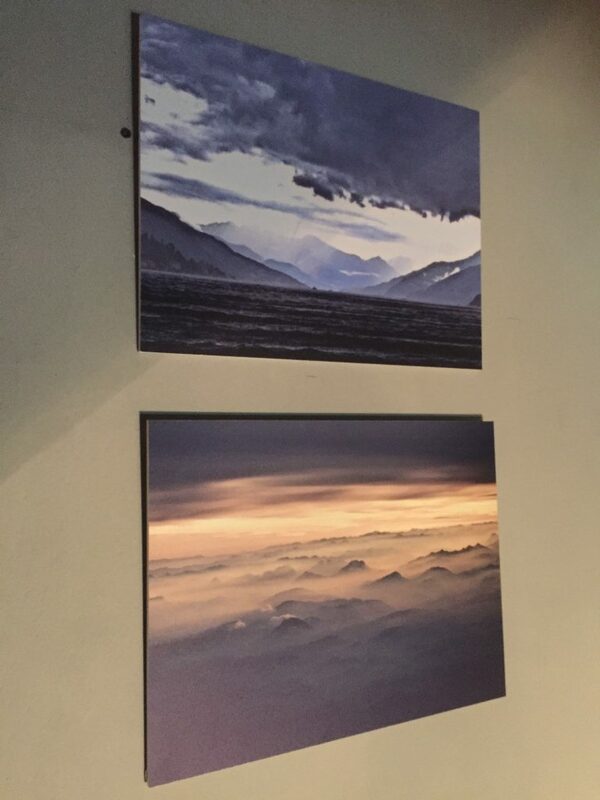 Sam Harrison’s photographs play with light in such an enticing fashion as we see the layers of mountains and sky and clouds all divulge into one subject and foreground and background lie in a harmonious fashion. Sam says “I would like to imagine myself taking this whilst flying over the alps, but no: through a plane window. The peaks almost seem like rocks breaching the surface of a pond…” The photographs portray a very unique angle of a beautiful scene, capturing a snapshot in time perfectly. 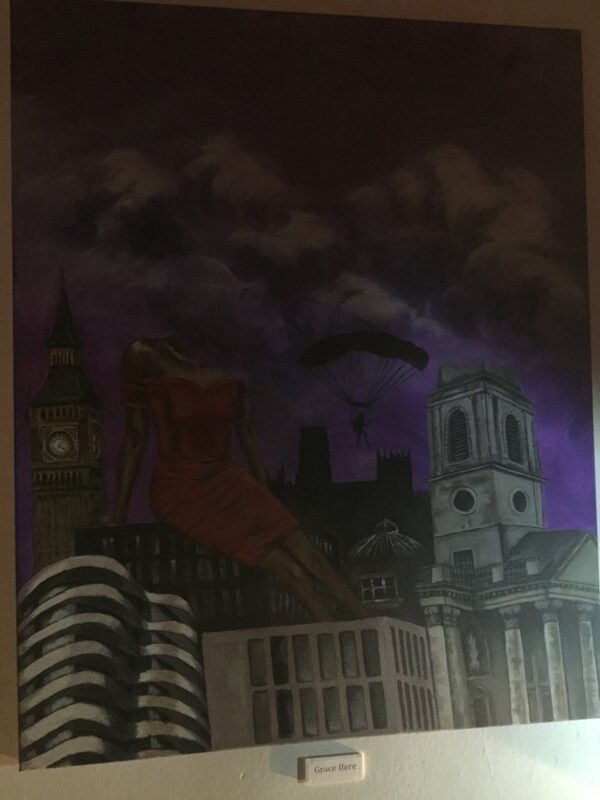 Grace Ifere paints an extremely surrealist piece, with the subject matter of a woman reclining upon the buildings of a city with a head engulfed in purple clouds that make for over half of the canvas’ presentation. The shrouded nature of the figure creates a sense of mystery and gives power to the landscape and nature. Grace reflects that what she loves “the most about painting is that anything can happen, and the better I can convey the idea, the more real it becomes.” Certainly this is not a realistic piece and her quote is translated effectively through the application of her brushwork. Keziah Baskerville-Muscutt’s watercolour pieces exemplify the excellent control she has in terms of creating a tonal change and highlights and shadows to emphasise texture and volume within the piece. 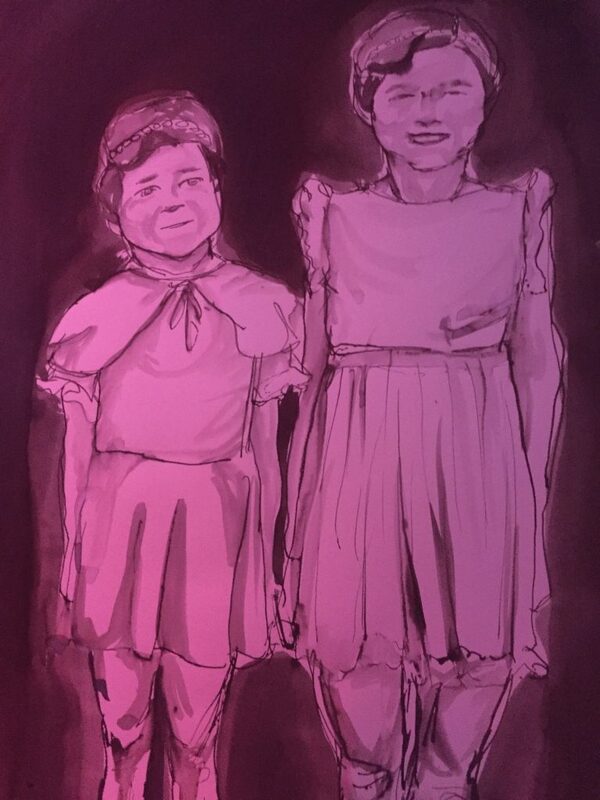 The artist presents three or four pieces with the same colour palette and style together, depicting children poised for the camera, with that of an older appearance than a modern day child, perhaps considering a time before our own? 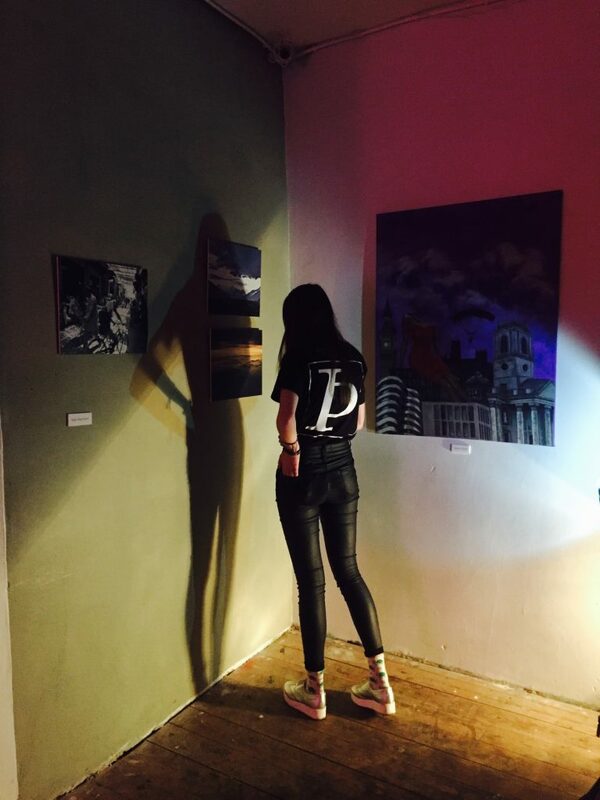 Conclusively, Thorn provides an amazing opportunity for young artists of any medium to showcase their talent in a liberating fashion with an extremely appreciative, accepting and respectful audience. I recommend the event to everyone and look forward to the next one in February.